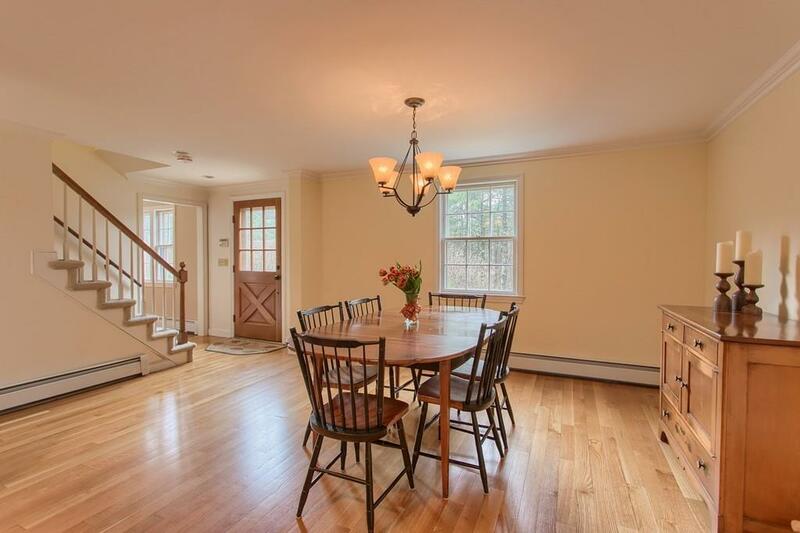 Dont miss your opportunity to own this renovated four bedroom home in a pastoral setting abutting conservation land. Set back from the road, on nearly 4 acres containing stonewalls, woodlands, lawn and pasture area, this home has so much to offer. The remodeled eat-in-kitchen is the heart of home, with the large center island, double oven range, stylish pendant lights and tile backsplash. The spacious family room features a masonry fireplace and built-in cabinets and shelves. Youll find gleaming hardwood throughout the 1st floor including the front to back living room with 2nd fireplace and new windows. All bedrooms have newer windows including the master with full bath The most recent updates include exterior paint (2018) and water filtration system (2019). The former horse barn on the property has been turned into a heated workshop with a large covered parking area. 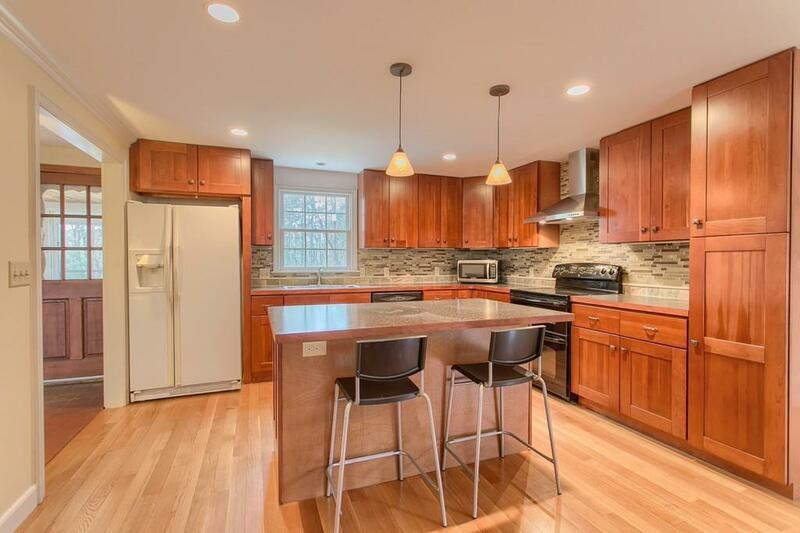 Great commuter location, close to to 495. 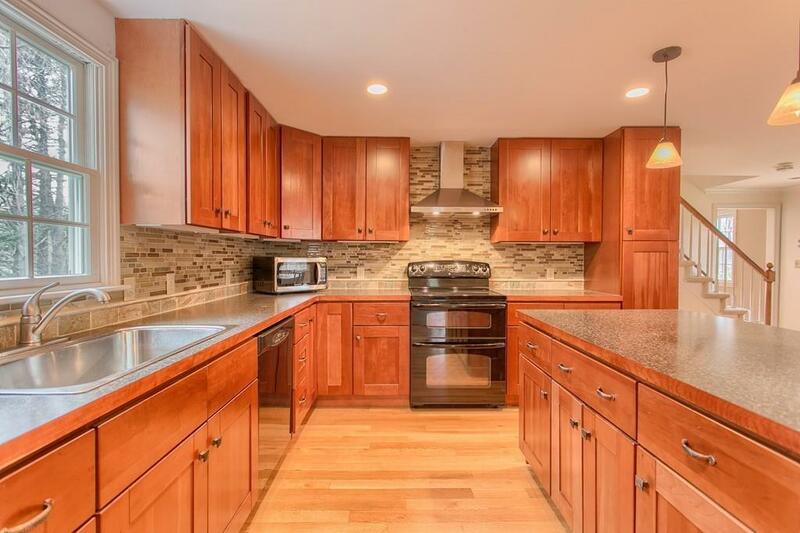 Listing courtesy of Stewart Realty Partners of Keller Williams Realty-Merrimack. Disclosures Acreage And Tax Totals include $70.61 For 0.83 Acres Of Adjoining Property in Boxborough. Listing provided courtesy of Stewart Realty Partners of Keller Williams Realty-Merrimack.